Welcome to the 2006 Pacific Division NBA Preview from Maddux Sports. The regular season opens up October 31st and now is the time to study up on this years teams. If you regularly wager on the NBA our handicappers for Expert NBA Picks and check out the NBA Spreads page to compare odds and increase your winning percentage this season. The Pacific Division includes the powerful Phoenix Suns, the upstart Los Angeles Clippers and the down again and up again Los Angeles Lakers. Despite being a perennial playoff team, the division’s Sacramento Kings have seen their win totals slowly deteriorate. The Golden State Warriors are not untalented, but they have lacked the team chemistry to bring it all together. Once again, the Phoenix Suns are ready to dominate their division. With some of the most accurate shooters in the league and a team built on speed, they can create points simply by taking the court. Head coach Mike D’Antoni coaches his club to run teams off the court. They’re built to get to the finals but without a true big man can they win it all? Last season, the Los Angeles Clippers arrived, taking second place in the Pacific Division and playing well in the second season. Sam Cassell isn’t getting any younger, but he’s still a solid player, able to command the court and set up plays. Head coach Mike Dunleavy’s competitive spirit is contagious, and he’s well respected by his players. The 2005- 06 season was not a fluke. Phil Jackson’s Los Angeles Lakers proved to still be a force. Kobe Bryant is one tough competitor and talented player. The addition of former Clipper’s small forward Vladimir Radmanovic gives the Lakers more variety in shooting from the field and stronger “D” on the other end. For the Sacramento Kings the 2006- 07 season could be a turning point—either up or down. New coach Eric Musselman has the potential to light a fire under this team or to totally alienate them. His intensity and uncompromising honesty doesn’t sit well with many players. Ron Artest was a standout in his first season with the Kings, while Mike Bibby continued to knock in points at will. Finally, the Golden State Warriors will once again search for the last few elements that will make them a winner. After two NBA seasons, former college coach Mike Montgomery still hasn’t adjusted to the pros, although he’s certainly trying. There are health and consistency issues that will continue to hamper this team’s progress. Expect another losing season for the Warriors. The Pacific Division is highly competitive and in flux. It will be tough for teams to outscore the Phoenix Suns but good defense will certainly help shut them down. The Clippers will compete with “D” and scoring and the Lakers will wind up Kobe Bryant and watch him go against Nash and company. Projected Order of Finish: Click on the team link for a break down of the basketball team. To make things easy we have compiled division previews with links on the page to all of the teams and rivals in the respected division. You can click on any of the division previews below to find the team you are looking for a preview on. 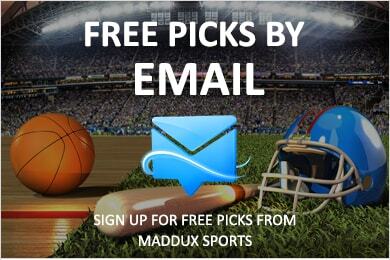 Buy Maddux's Winning NBA Picks from the UHC Champion!